To meditate is to familiarize our mind constantly and thoroughly with a virtuous object. By practicing meditation we gain experience of the many levels of spiritual realization and progress to higher and higher levels of spiritual attainment until we accomplish the highest of all, the state of Nirvana. 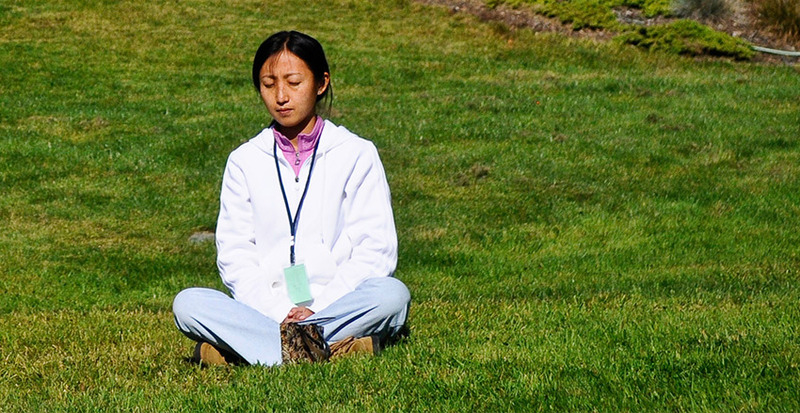 To practise meditation we first need to learn Dharma by listening to and reading correct instructions. We then need to contemplate the meaning of what we have heard and read. We contemplate Dharma to understand its meaning clearly and to gain conviction, testing it to see if it is logical and coherent, whether it makes sense in terms of our own experience, and whether its purpose is worthwhile. Once we have gained a firm understanding of the meaning of Dharma and have confidence in its reliability we are ready to practise meditation.